Traditionally on Memorial Day, our friends gather together to celebrate the start of the summer season. 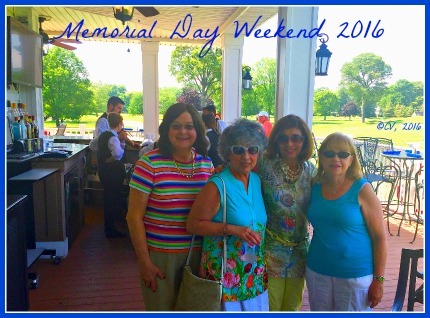 Warm greetings, friendly conversations, and a barbecue at the Rockville Links always make for a festive occasion that usually centers on past memories and family news. Friendships developed over the past thirty years remind us of the strong bond that exists among our group of friends. Despite the grayness in the sky, the weather cooperated enough to allow us to stroll outside on the grounds as we remembered so many good times over the years. The addition of a firepit overlooking the golf course provided a new venue to relax while recalling our memories: swim meets, championships, sportsmanship awards, and countless dinners and barbecues. Years flashed before us as my family and friends talked about the many good times. 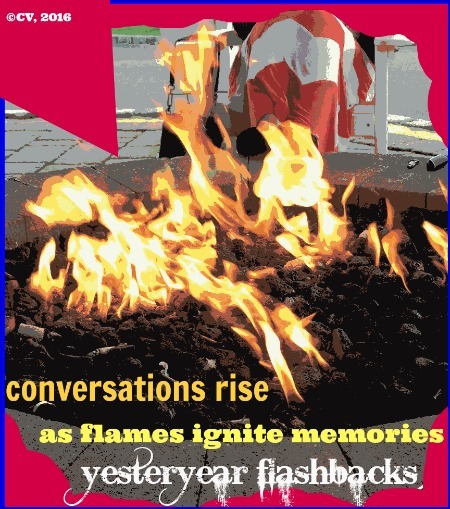 Then, the conversation drifted back to why we were gathering together. While Memorial Day is the day to kickoff the summer season, it is also a day to honor the past and the many American heroes. Our conversation led to talk of battles that the older generation witnessed, medals won, and ceremonies that celebrate heroism. My son and I spoke of his Grandpa Manny, a simple man with a big heart who cared deeply for his family and his country. Life in the early part of the 20th Century was different than today for this man. Because of his commitment to family, when Manny's father was killed he had to leave school at the end of 8th grade to become the breadwinner of the family. Shortly after that time in his life, World War II began and many young men rushed to enlist. Manny chose the Navy because he heard that the food was better. We laughed about that and my husband added that his father was not even a good swimmer. 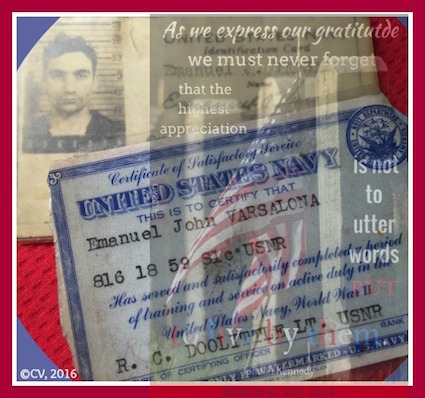 Manny's naval career took him around the world and opened his eyes to places that a young man from Brooklyn had never thought he would see in his lifetime. Conversation then moved to another New Yorker whom we refer to as Uncle Horace. While in his nineties, Uncle Horace remains sprite and always recounts for us the many honors he received as a veteran. Two men with two stories about being part of the American experience brought us back to a focal point of our Memorial Day gathering. One story led to another during yesterday's barbecue. The day ended with another memory being established for the start of the 2016 summer season. What memories did you make this Memorial Day Weekend? Join the Tuesday Slice of Life at Two Writing Teachers to read a variety of slices. 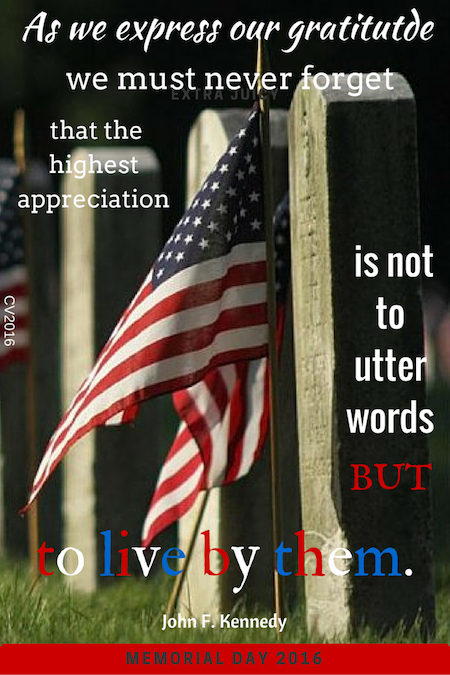 Memorial Day is the traditional day to honor American heroes who have perished serving the United States. It is also a day to celebrate with family and friends the bonds that keep America strong. turns gray in the morning shadows. Live your life with conviction as those who have come before us. Memorial Day is the day to celebrate what America offers. Enjoy the Memorial Day Holiday. Do you have a Memorial Day tradition? I started a new one two years ago, writing a poem for each Memorial Day. Last year's poem can be accessed here and my 2014 poem here. as I salute American heroes today. 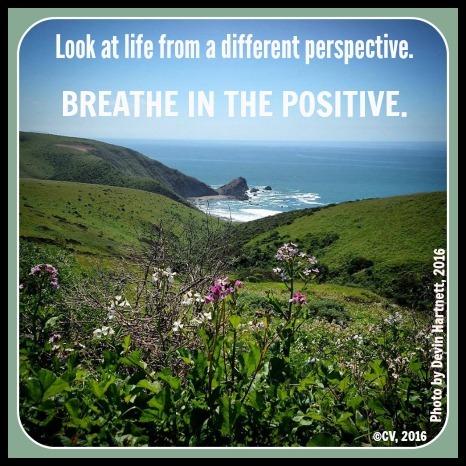 When Margaret Simon, host of DigiLit Sunday, tweeted that the word perspective would be our topic this week, I realized that there are so many ways to look deeply at what this word means to me. I'll start with a synonym poem. hurried feet, racing to a beat. My daughter took this photograph while traveling out West. The perspective she captured from the lens allowed me to notice, wonder, and breathe in life. I transformed the photograph into an inspirational quote. Last month, I noticed a goose waddling in a school parking lot. He looked pensive and so I wondered what he would do. Undaunted that I was following him, he continued his slow walk. A notice poem evolved from my encounter. a world caught up in strife. 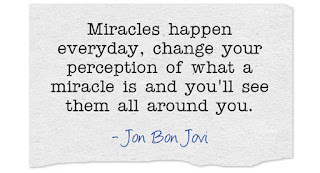 Positive thinking changes your perspective on life. 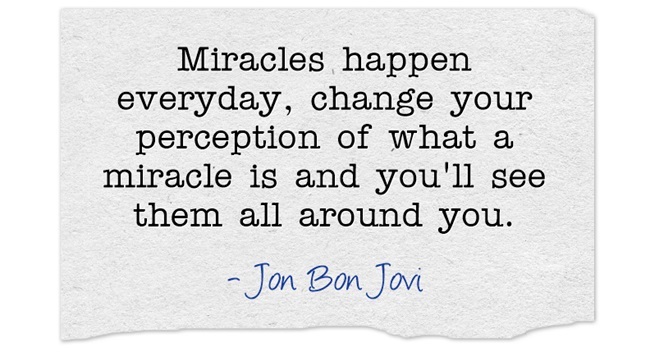 It allows you to see life with fullness. While it is true that life is fragile and uncertain and each person's life is different, hope can be found in the word believe. I believe that the power of positivity can change perspectives as we seek the balance. Please visit DigiLit Sunday here. Join me on June 5th at 10 am EST as I co-host #PeopleSkills chat on Twitter with host Kate Nasser. 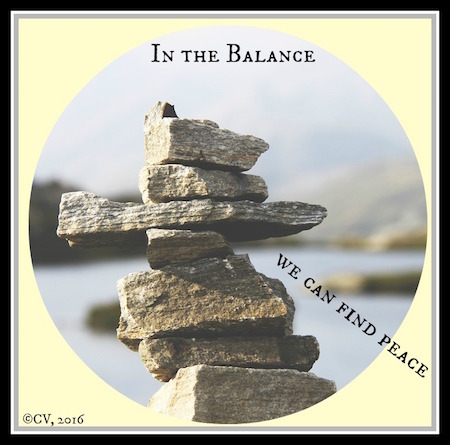 We will be discussing "Balance in Life & Relationships." 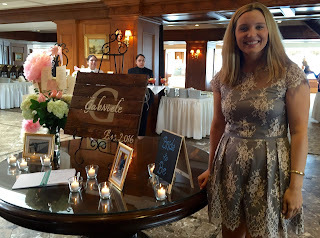 Last Sunday, I celebrated the bridal shower of a framily member whom I watched grow up since she was a baby. I was also fortunate enough to help decorate for the event. 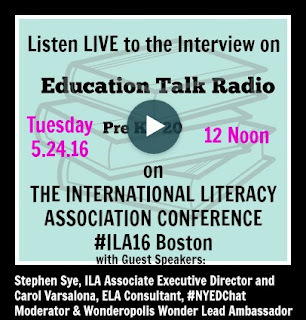 On Tuesday, I was interviewed by Larry Jacobs of Education Talk Radio on my perspective of the upcoming International Literacy Association's 2016 Conference. You can read about that wonderful experience here. 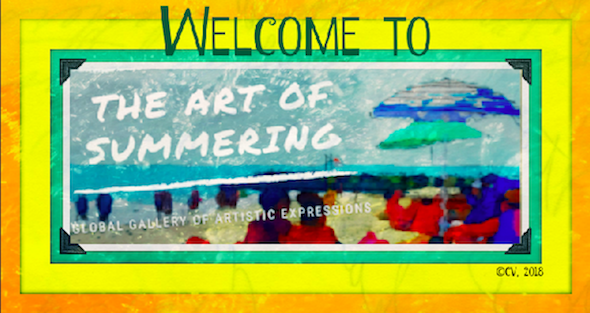 During the week, I noticed, wondered, created digital compositions and image poems, and wrote blogs and poetry in between shopping for additional plants for my gardens. 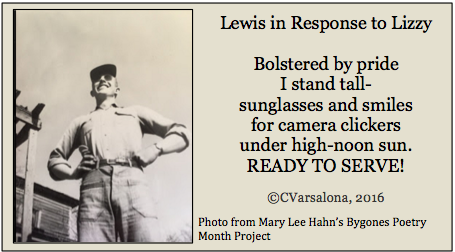 *New Celebration Added: I celebrate poet friends who are keen on finding the right accreditation for images. When I found the above vintage piece of artwork, I did not have the name of the artist. 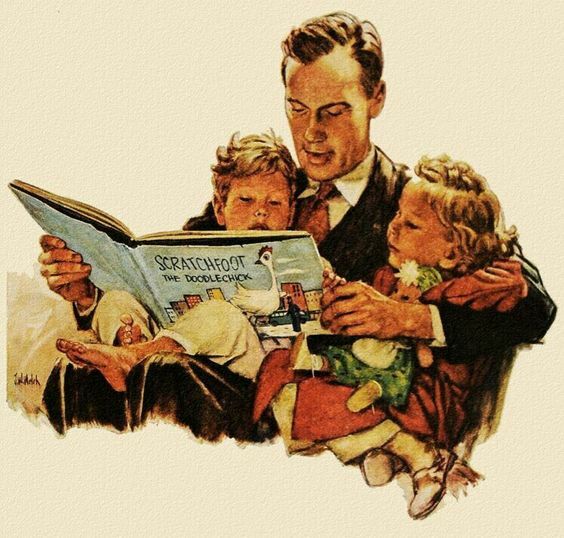 On the internet it is listed as Norman Rockwell but Michelle H. Barnes thought it was not. Since the poem was being placed in her persona poem collection for Today's Little Ditty Challenge, she decided to use the label, vintage painting, artist unknown. Diane Mayr, librarian/poet, solved the mystery. The artist is Jack Welch, an illustrator for The Saturday Evening Post. The artwork is actually a 1946 ad for Air Lines of The United States. All week long, I enjoyed corresponding with colleagues who were sending in their offerings for my upcoming spring gallery, Spring's Seeds. 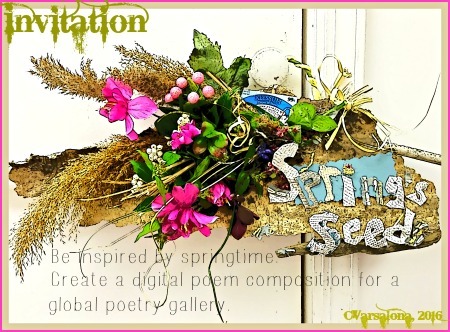 If you go to #SpringsSeeds on Twitter, you can start to see my growing virtual garden of poetry blossoms. It was a full week of celebrating and now there is more celebrating to do with the start of the Memorial Day Weekend. 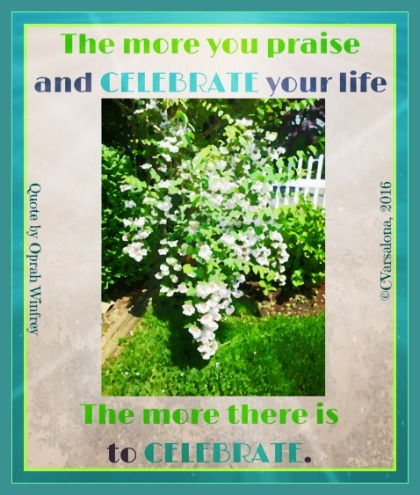 Remember, "The more you praise and celebrate your life, the more there is to celebrate." 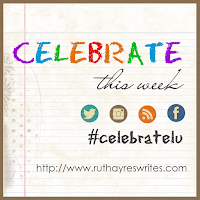 Please visit Ruth Ayres at Celebrate This Week, a place where weekly celebrations are posted by the blogging community. 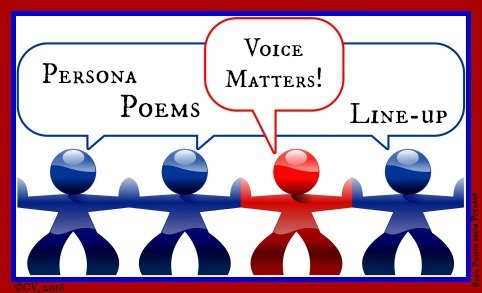 At Today's Little Ditty, hosted by Michelle H. Barnes, Laura Shovan challenged all who are interested to write persona poems during the month of May. Below you will find my offerings. deliberate as I move through the motions . one of thousands across the globe. A growth mindset leads me. for the greater good of learners first! As I was walking to my flower garden today, I saw a few mounds of ant hills. Upon closer inspection, I noticed the ants busily scurrying around a circular mound with a deep hole. This #noticepoem for children evolved. Please visit Julie Larios at The Drift Record for the Poetry Friday Round-up and don't forget to check out the persona poems at Today's Little Ditty. I hope you enjoyed my writing adventure that had me noticing and wondering. NOTE: The deadline for offering digital compositions (poem and photo), an inspirational quote, or photo for Spring's Seeds Gallery that I am designing is next week. I look forward to Poetry Friday friends submitting their inspirational blooms for my virtual garden. As a co-moderator of #NYEDChat I have had the opportunity to interview various educators at the different Long Island EdCamp events but on May 24th the table was turned. I was an interviewee. 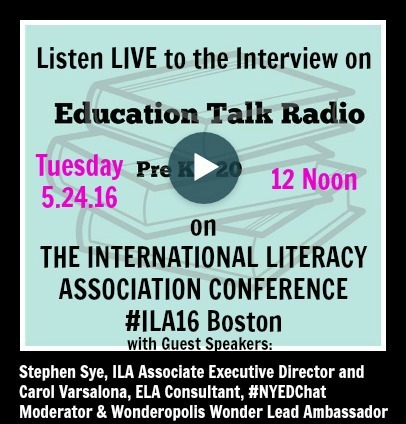 It was a surprise to be contacted by the @ILAToday team of the International Literacy Association to speak about the upcoming conference, #ILA16, in Boston this summer. Prior to yesterday's interview, I had the opportunity to prep with April Hall and communicate with the broadcaster, Larry Jacobs. It is always a wonderful experience collaborating with those who are like-minded and enthusiastic. 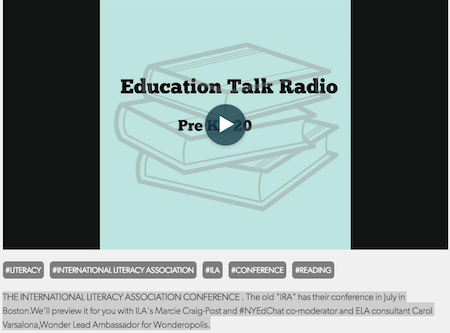 Since I am a member and have been attending International Literacy Association's conferences years before it switched over from being called the International Reading Association (IRA), I was asked to give my perspective on the upcoming conference. I was pleasantly surprised by Larry Jacob's humor that immediately brought a light-hearted touch to the interview. At the onset, Stephen Sye, ILA Associate Executive Director, was asked to describe the differences between IRA and ILA. He noted that ILA is expanding its reach to include parents and community members along with educators. It is directing its attention to literacy around the world. He added that the conference this year, titled Transforming Lives Through Literacy 2.0, will have between 6,000 to 7,000 educators and exhibitors attending from July 9-11, 2016. On July 8th, EdCamp Literacy will be held and I will not only attend but hope to participate as a presenter. Besides the usual academic influence at the conference, there will be social events to keep the energy level high. Lit Night at Fenway Ball Park and the Inaugural Steps to Literacy 5K are highlights of the festivities. Other bonus features are free conference registration for pre-service teachers and the first timers to the conference session on how to make the most of the conference experience. Beyond attending amazing sessions with literacy experts, I will be presenting a workshop with my team, colleague Dr. Michele Haiken and poet Laura Purdie Salas. In our hands-on session, Transforming Writer's Lives with Digital Tools as Powerful Agents to Impact Literacy Instruction, Authenticate Voice, & Present Positive Perspectives, we will present a series of creative and collaborative activities to explore the power of digital tools to affect change in literacy instruction, engage learners as writers, and create agency in classrooms. In addition to presenting and attending sessions, I will be pleased to network with colleagues across the country and meet up with long-time conference friends, literacy experts, and poets, make face-to-face contact with Twitter friends, and be passionately caught up in the learning experience. 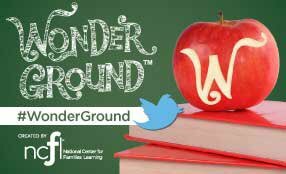 As a Wonder Lead Ambassador for Wonderopolis, I will highlight the inquiry/noticing and wondering process in my presentations and hope to connect many educators with the wonders of the Wonderopolis free site. You can find me tweeting from the conference floor and blogging about #ILA16 when I return home. Am I excited for this experience? I certainly am and hope that my passion for learning and being an ILA member was heard throughout the interview. You can access the archive of the interview here. With the table turned, I was able to experience what it takes to be a good listener and responder during an interview. I also found out just what a small world this is. During the interview, Larry Jacobs asked me if I knew a Twitter colleague, Tom Whitby, here on Long Island. It just so happens that I not only know Tom, a fellow connected educator and author, but I have interviewed him. Larry has known Tom for years so after the interview both Larry and I notified Tom of our meeting on air. I thank both April Hall and Larry Jacobs for partnering to highlight the International Literacy Association's 2016 Conference and including me as an interviewee and spokesperson. 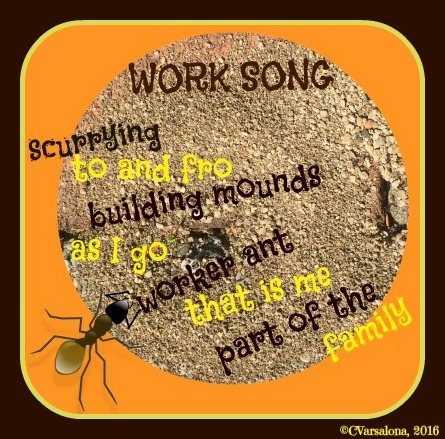 This post is also visible on my Wonder Ground blog site and can be accessed here. This morning, I opened the windows to the beautiful start of a day and listened to the chirping sounds filtering through. The sun shone brightly and spring seemed to be popping out all over. Flowers and trees were in bloom and people were milling about. Twitter was also chirping early this morning. Sean Gaillard opened the day with reminders that we would be celebrating the positives at #CelebrateMonday. A tweet from another edufriend, Alex Stubenbort, came through my Twitter feed, posing a question of the week: How can teachers as a group dispel the "just a teacher" narrative that is so prevalent in our society? Why is this important to do so? Since I was about to write a tribute post to teachers I replied to Alex's request, asking educators to join #weteach365 and change the narrative of education. On #CelebrateMonday and every day of the school year, teachers are asked to tell their stories. They post photos of their interactive classrooms, their makerspaces, and passion projects to showcase the successes of their craft as it impacts student learning. Edunarratives need to shine in praise of what effective teachers do best: ignite passions, provide choices leading to amplified student voice, and promote student ownership of learning. 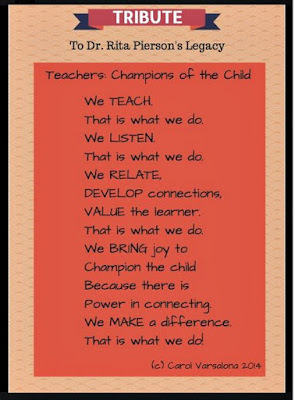 As a collective body of practitioners, teachers can change the narrative of education through concerted efforts as awakeners, leaders, and change agents for they are the champions of the child and difference makers who impact learning. Why is it important to tell your edunarrative? 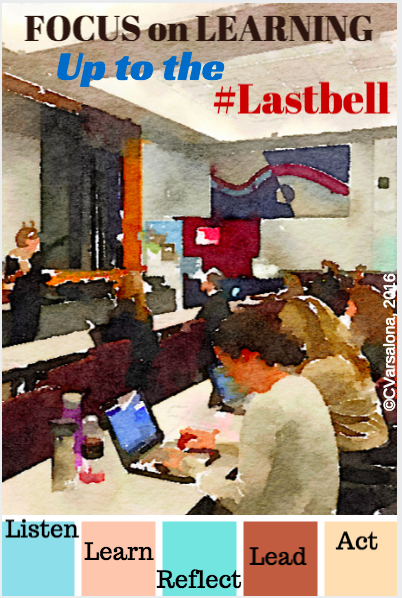 Write to #weteach365 on Twitter with your response. 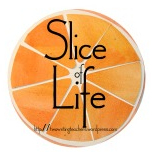 Please visit Two Writing Teachers here to read other Slice of Life Tuesday slices. Digital platforms, like Twitter, are used daily by connected colleagues for professional learning. It is the intent of these educators to broaden their reach and cross regional boundaries as a means of communicating on a global scale. Learning becomes a continual cycle through conversations, infographics, and blogs. 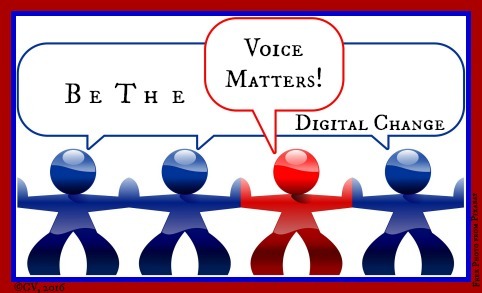 Digital change happens as we connect and explore educational issues together. 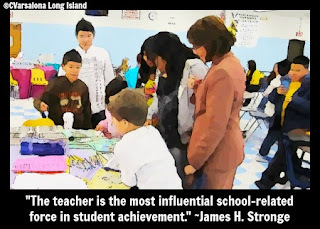 With whom do you connect and what is your intent for moving education forward in your locale? Please visit Digilit Sunday hosted by Margaret Simon to read the viewpoints of other educators on the topic of intent. 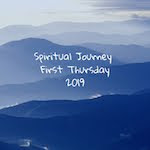 Living in the positive world of connected educators allows me to fill each day with new thinking. As a lifelong learner, I join others to continue the path to learning and to provide a fertile ground for our students to grow. Today, I celebrate the learning that I am part of as the school year winds down. 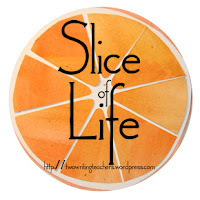 This past week, I attended a statewide ELA Framework conference. While there I listened and learned from Chris Tovani, reflected, and then, created digital inspirations to tweet out to my colleagues across the globe. It is always motivating to hear thoughts from a national presenter that validates our thinking. As a statewide team, the educators I worked with were able to follow up our two days of engaged learning with Chris. 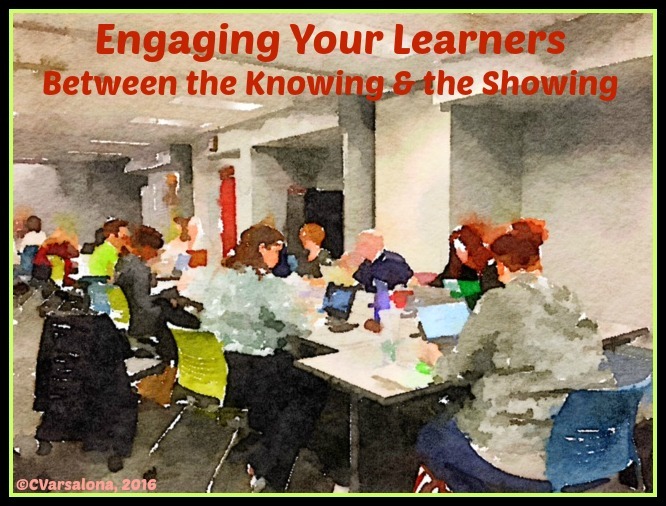 Through collaborative, collegial conversations, we built a resource library on Schoology for future turnkey presentations on student-centered learning. It is a wonderful feeling to be surrounded by like-minded, positive educators who always are concerned about students. Learning is something to celebrate all year round but especially until the last bell of the school year. As you celebrate your school closings, post photos of active learning under the hashtag, #lastbell, a movement started by my Twitter colleague, Jennifer Hogan who is the co-founder of #ALedchat, #USedchat, and #LeadLearning.net. Learning can come from all different sources. #satchat is a leader in Twitter chats. Today's chat on teachers as leaders provided me with the inspiration to synthesize my learning through a digital inspiration. 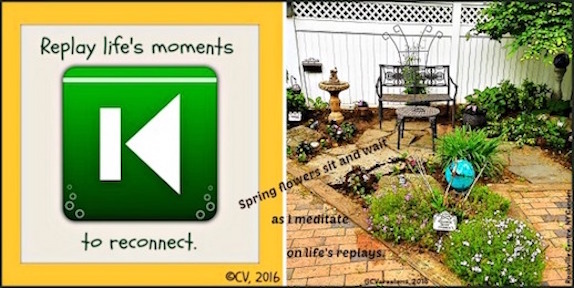 Before leaving for the conference, I was inspired to design my garden so family and friends could enjoy the meditation and herb gardens when the weather warms up. While this was not directed instruction from educators, it allowed me to take the skills gathered from years of learning to create. In this stilled space, I can continue my learning as I read professional texts to broaden my knowledge bank. and share it with others? 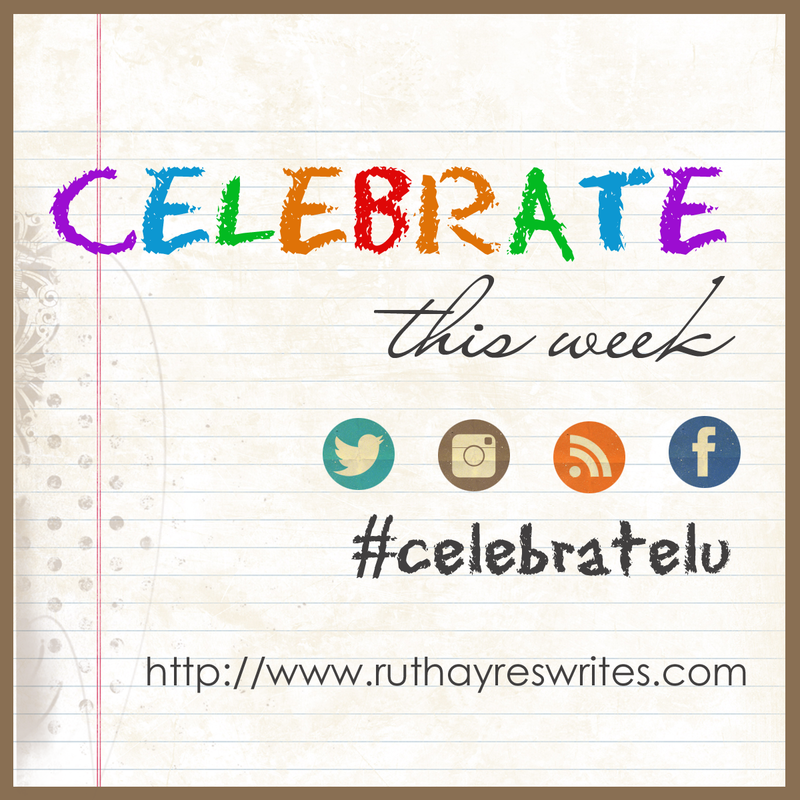 Please visit Ruth Ayres' Celebrate This Week post here to read how other educators celebrate life from a positive thinking standpoint. 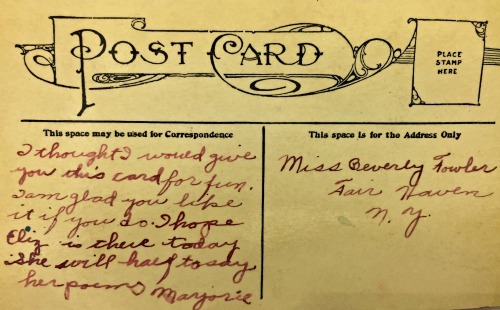 At the turn of the 20th century, "post cards" were the rage. People would write lovely short notes to each other on beautifully decorated cards and send them by post as in the example below. 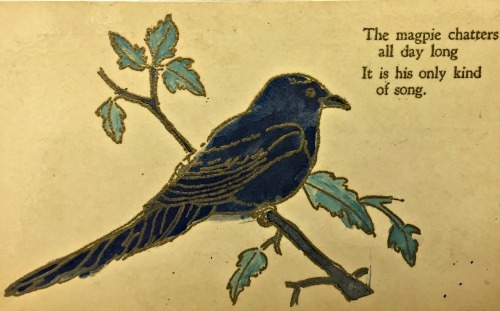 The above "Post Card" is part of my ephemera collection and speaks of the value of reading poetry. When I was teaching reading to elementary children, I would share cards like the one above with my students who delighted in reading what people "in the old days" wrote to each other. 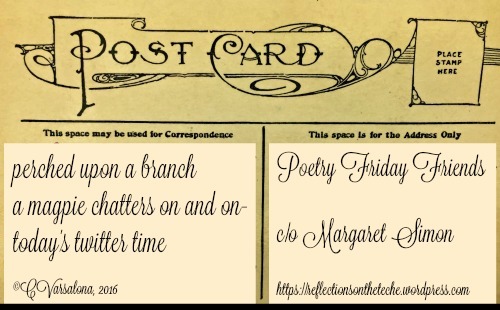 To honor the tradition of the 20th PostCard, I wrote the following poetry postcard to my Twitter friend and host of Poetry Friday, Margaret Simon. I am happy to see that Jone MacCulloch, another Poetry Friend friend, encourages her learners at Silver Star Elementary in Vancouver, Washington to continue the tradition of sending postcards through the Poetry Postcard Project. 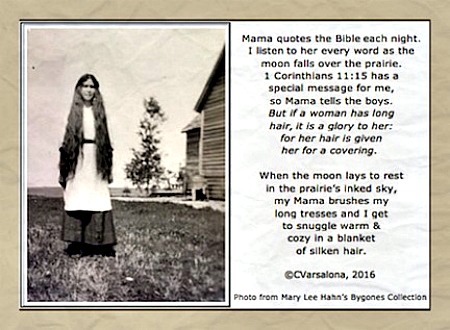 I was delighted to receive the poetry postcard below from 4th grader Lexi V.
If you feel creative, you might enjoy creating a poetry postcard like the one I composed above for my spring gallery, Spring's Seeds. The deadline to submit a digital composition is at the end of May. You can access the invitation and information here. 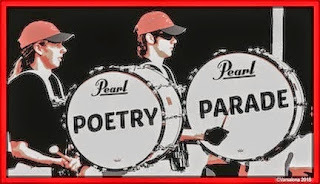 Please visit the Poetry Friday Round-Up at Margaret Simon's blog here.